At Tentworld we feel extremely privileged to have Phil and Christine Rettke share with us their very special Honeymoon Journal. 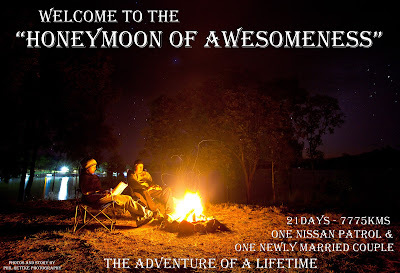 Over 21 days Phil and Christine travelled and camped across Queensland. They have done a fantastic job of writing this journal which is accompanied by amazing pictures taken by Phil of Phil Rettke Photography. If you bookmark this page, this will have the index for the days of travel as they're uploaded. If you subscribe to the blog, you will receive each days travel in your inbox.